Rent to Buy is a £400 million programme to boost building of new rental homes aimed to help people later upgrade into home ownership. The aim is that it will allow people to rent affordably now, save for a deposit, and then either buy the new home (or a different home) later. Will it help aspiring homeowners? Yes, some. There are lots of details still to be worked out but in principle we welcome any move to help aspiring homeowners get on the property ladder. We wait to see which housing associations bid for the loan programme, how fast they can build the new homes, where and to what standard. The biggest question though is whether people will be able to save enough during the 7 year period to afford a home of their own, especially in a climate of increasing house prices. So while the opportunity to pay below market rents for 7 years will no doubt benefit those young professionals at whom the scheme is aimed, the government will need a much larger programme of house building to solve the UK’s housing crisis. Under the scheme, housing associations and “other providers” can bid for a share of £400 million in low-cost loans to build up to 10,000 new homes across the country to be built from 2015 to 2018. Landlords must then make the homes available for rent at below-market rates for a minimum of 7 years. They will then have 16 years to pay back the loan, during which rents have to be kept below market rates. 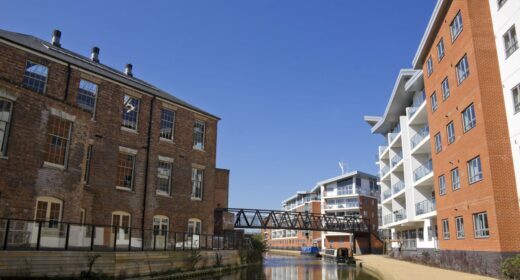 If the home is sold, the housing association will then have the option to use any returns on their investment to build even more affordable homes in the area. Alternatively, they will still have a home, which they can look to rent at an affordable rate to another tenant who needs help to buy. Housing associations will have the opportunity to bid for a share of the funding and set their own eligibility criteria for tenants. Half of the loans will be for London. The details of the scheme are being worked out now. Construction will start from 2015. Not yet. Housing associations and “other providers” who successfully bid for the low cost loans will then need to build the homes and decide eligibility criteria for their tenants. Is it really a new scheme? Yes and No. What better way to confuse the Great British public than by launching lots of schemes with very similar names. Was it Help to Buy (mortgage guarantee) or Help to Buy (equity loan) you were interested in? Ironic when the schemes are there to help.